Ready, Set, Plant: Plenty of Petunias! Our full selection of Trailing and Mounding Petunias have been set up on Tables C9 to C15. Amore Fiesta and Queen of Hearts: Bicolor flowers with hearts on the edge! Hells Flamin' Rose: A HOT pink Petunia, possibly the best in this color we've ever seen! Our shipment of Clematis and Vines has arrived from Clearview Nurseries in Aldergrove, BC. Big and beautiful one gallon Clematis plants to cover a bare fence or trellis, or maybe to climb up a tree trunk. We have over 70 varieties of Clematis to choose from, including the Select Vancouver series, which features the new addition of Vancouver Plum Gorgeous this season.  Also choose from more than 20 other Vines, including 5 different varieties of Trumpet Vine, Wisteria, Hops, Climbing Hydrangea, Chocolate Vine, Silver Lace Vine, Boston Ivy, Virginia Creeper and 6 different varieties of Honeysuckle. Back for another season, and available this weekend, is a great selection of starter size shrubs brought in from Van Belle Nursery located in Abbotsford, BC. 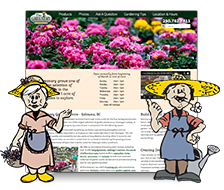 They too are a family business that has been specializing in growing containerized, cold hardy ornamentals since 1973. 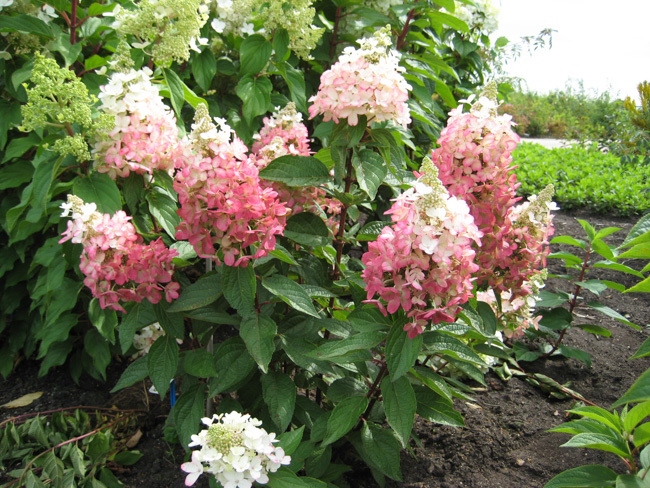 Choose from over 20 different and exciting varieties of Hydrangeas in 4.5" square pots for $7.99 each. Like last season, we will have the Everlasting series including Amethyst, Garnet, Harmony, Jade, Noblesse, Ocean and Revolution. New this season in the hardy paniculata type Hydrangeas is the Lavalamp series, including Candelabra, Flare, and Sublime. 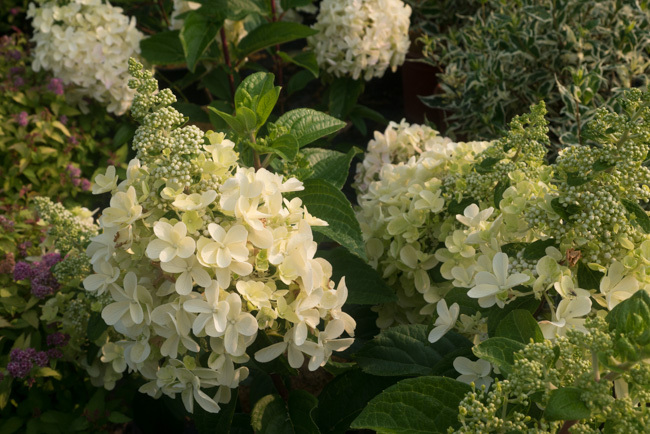 For you gardeners with limited space, Bombshell Hydrangea might be the right choice for you, with it's large white flowers and compact growth habit. Other popular shrubs we have returning this season are Hibiscus Chiffon Lavender and Chiffon White (Rose of Sharon), Butterfly Bush Flutterby Petite Blue Heaven and Tutti Fruitti Pink as well as Autumn Blooming Clematis. Great for small hedging projects are the Dwarf Boxwood, and for a unique ground cover try out the Drift series Roses. 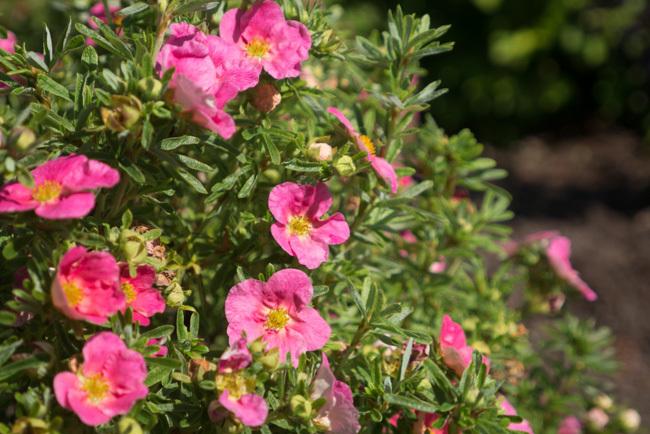 New this season are the Bella series Potentilla, offering a tidy growth habit and compact size, with larger flowers with colors that intensify rather than fade. Bella Bellissima has intensely pink blooms from top to bottom and Bella Sol has fiery orange flowers smothering virtually care free shrubs. The bare root perennials have been potted up and are ready and can be checked out on tables B11 to B17. 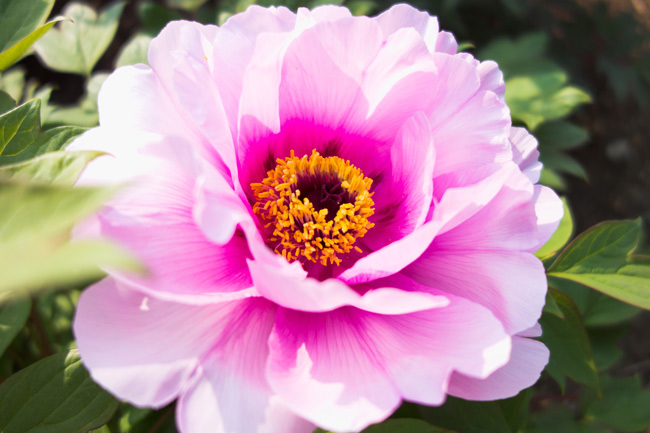 This would include Peonies, Tree Peonies, Daylilies, Bleeding Hearts, Hostas, Astilbe, Crocosmia, Astilboides, Perennial Geraniums, and Ligularia, just to mention a few. A good selection of Oriental and Asiatic Lilies are available on table F1. Choose from favourites such as Stargazer, Casablanca, After Eight, Blackout, Landini, and the Lily Looks series. Come in on Saturday or Sunday and meet Bud O'Connell, the BC Red Wiggler Worm expert and learn about how these crawlers can help keep your soil healthy and help you create great compost. Fresh moss from Vancouver coastal regions has been brought in and is now available for you to purchase so you can create a work of art, a beautiful moss basket or other wire frame planting.